Kelli Brewer Photography is expanding! Jenny and Chance are having a baby! What did you think my subject meant?? =) My best friends are adding to their family! See, Chance has been my second shooter for over two years whenever I have needed a hand. He's a very valuable asset to the KBP family. When I realized I would need some help with an upcoming wedding, I didn't quite know who to turn to. I'd only been back in the DC area for about a year and hadn't really started networking with other photographers seeing as how I'd only been shooting and building my portfolio a few months. Chance was the only photographer I knew in the area and the person I called. Can you believe the first time we ever met in person was just a week before we were set to shoot a wedding together? He was game and "the rest is history". While our relationship started out as a business arrangement, over the years, Chance - and his wife Jenny - have become two of my very best friends. Chance is my biggest cheerleader (er, cheer-man?) and we love to bore each other with all things photography. When Jenny and Chance wanted to announce to the rest of the world they were pregnant, I was so happy to be included, capturing the image you see above. So, congratulations are in order! 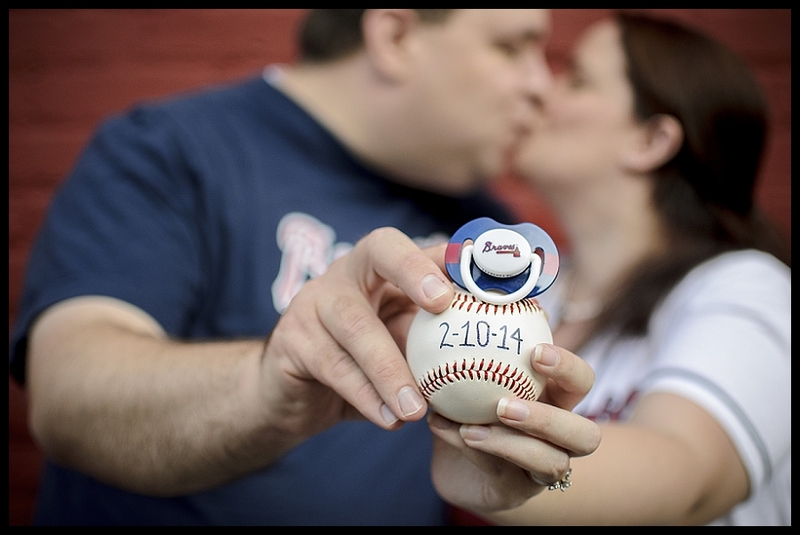 I'm so happy to announce that Chance and Jenny are expecting a future photographer, February 10, 2014! Wishing you all the best guys! Very well said, Kelli! Thanks for being there to capture all our special moments!